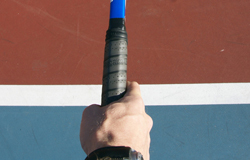 When mastering the volley with this secreat grip you going to be king or queen of the court! 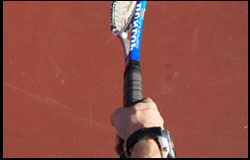 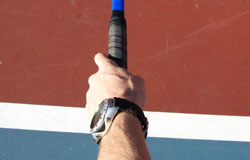 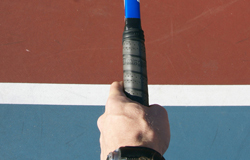 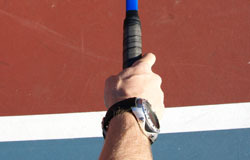 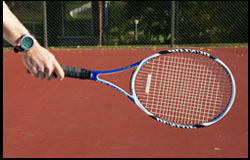 This is the same grip as the best volley player used during his whole carrer. 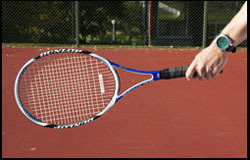 The man I´m talking about is of course Stefan Edberg. 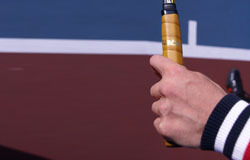 With this grip you will be able to hit the first volley with sidespin, get a better feeling for low volley and a whole new movement at the net. 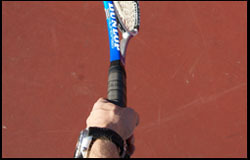 You will have a chance to develop you footwork and move like a panter, why not give it a try? 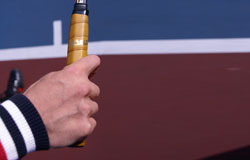 16 (8 FH & 8 BH) Volley Lessons are waiting for you here!